Okay, so that is a pretty brazen statement, but it did bring my world closer together. How you ask? Well for a time in my career as the IT Director, I managed an awesome group of over 25 technicians. These guys are top of the line techies that worked in various locations at all times of the day. Their responsibilities ranged, but all my responsibility of management didn’t. [Smile if you’ve been there…] So – how do you keep a team of hardworking employee’s together if they aren’t really together? – You’ve got it, instant messaging (IM)! Maybe just maybe I didn’t take over the entire world, but IM definitely connects you to your world when you cannot be there to physically shout out “HEY!”. 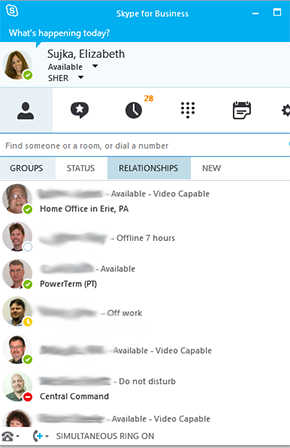 When your team isn’t all in the same place at the same time, IM among all the other unified communications features provides a sense of connection and visibility that cannot really be obtained through traditional means of communication. Time spent trying to communicate is now regained by the use of IM. When implemented throughout an organization – you get an immediate sense of availability, current capacity, and if implemented correctly, location. 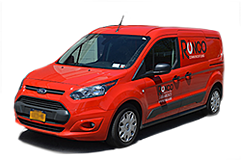 I have seen IM personally create cost savings because communications were able to resolve an action in seconds rather than the minutes it takes to make a call. I have seen greater productivity because technicians could connect directly to someone that is able to help them on the spot or choose to not be interrupted because they are specifically engaged on a task. It is a supplementary tool in business communications solutions, but necessary if taking over the world when - IM speeds up communications and slows down the “I couldn’t” factor.....yep! Can your system do that?